margin trading and much more, to help optimize the workflow across the entire firm. Brokerage firms need to convert expertise into action with speed and efficiency. 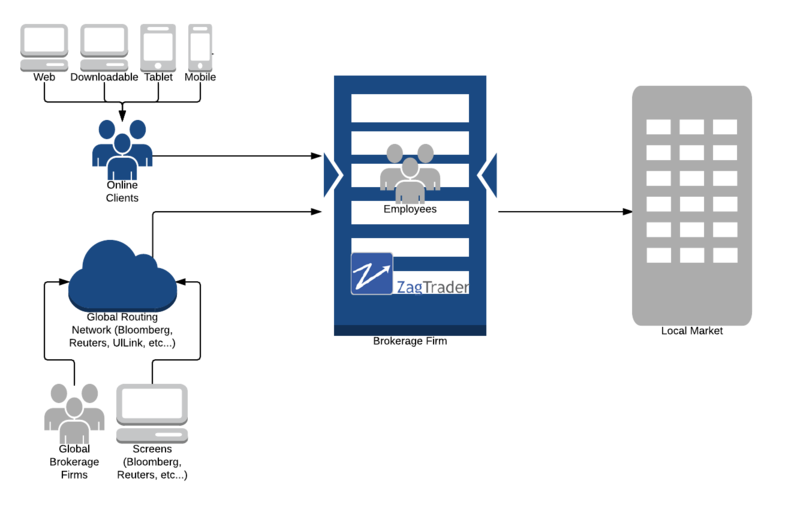 The ZagTrader order and execution management solution span your entire workflow, delivering functionality and connectivity designed to increase revenue, optimize efficiency, improve direct market access and manage risk. ZagTrader Sell-Side solution offers an integrated complete end to end solution for an order management system that includes front office, middle office, back office, liquidity management, electronic order flow, algorithmic trading capabilities, market execution, positions and P&L, risk management, compliance, operations, margin trading, advanced research and analytics tools to help optimize trading workflow across the entire firm. Open architecture: allows the traders to implement their own unique strategies. Create your own algorithms and rules or connect to any 3rd party algorithmic solution desired. Seamless integration with any 3rd party solutions if needed.